These pendulums are an exploration of KAP gear that can be assembled by hand. In doing this, the idea is that if something were to go wrong out in the field, no tools would be required for maintenance. This pendulum is simply a wire wrapped around a 3/8" piece of polyethylene tubing with a 1/4" dowel running through it. This iteration uses nylon hardware, which doesn't tighten enough to keep the wire from moving. 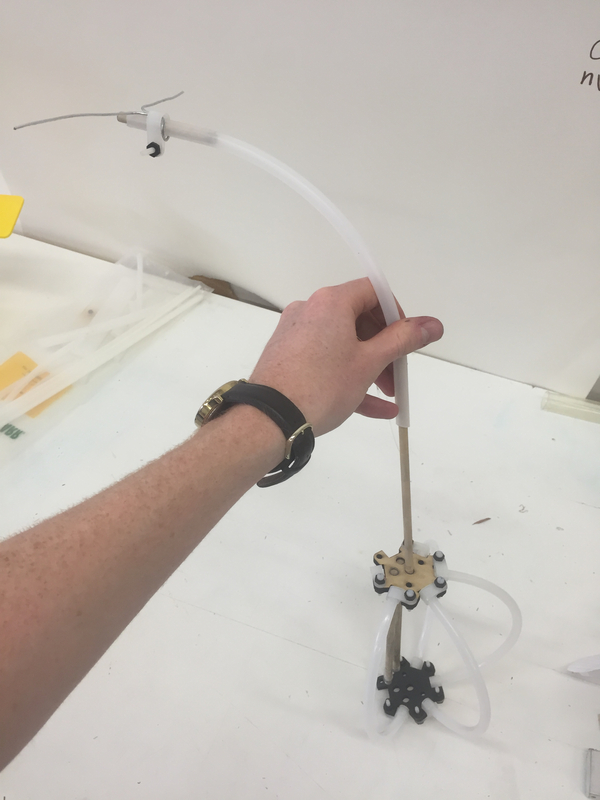 This iteration uses a wire wrapped under the dowel, which is difficult to bend by hand. 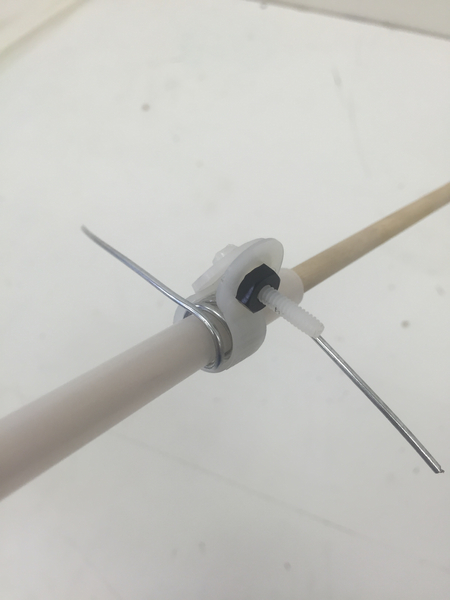 The third and most effective iteration uses a wire wrapped around the dowel with metal hardware. One downside to this iteration is that the metal hardware weighs 12.8 grams as opposed to the nylon hardware, which weighs in at only 1.4 grams. Are there any alternatives to the metal hardware which could provide enough clamping force to keep the wire from slipping? Could a stopper be placed at the end of the shaft as an alternative to using clamping force? 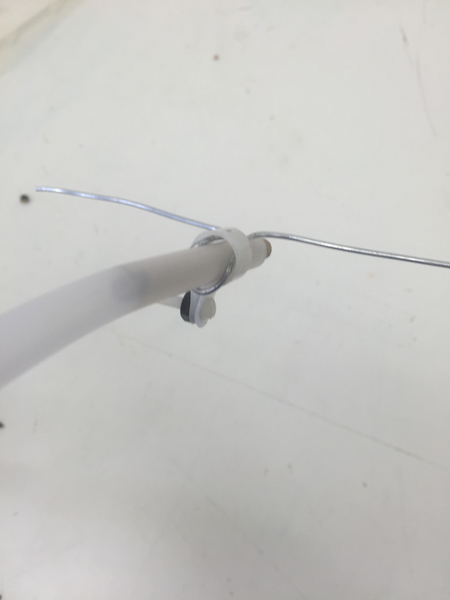 What gauge of wire can be easily bent by hand that can still provide enough rigidity to support a camera rig?